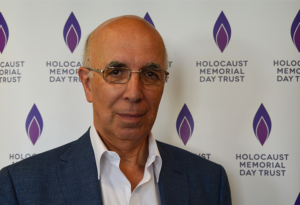 The work of Holocaust Memorial Day Trust (HMDT) is overseen by a board of Trustees which is responsible for the governance and strategic vision of our work. Our Trustees are from a broad range of backgrounds and contribute to our work through regular board meetings and liaison with the HMDT staff team. Each Trustee stands for a minimum of one three-year term, and is eligible to be re-elected for one further three-year term after this time. 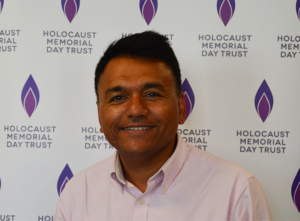 Three of the places on our board are reserved for those from the Board of Deputies and two for the Holocaust Educational Trust. Ben was born in Poland in 1929. During the Nazi occupation he was sent to several concentration camps. Most of his family did not survive the Holocaust. After liberation from Theresienstadt, Ben moved to the UK. He trained as a weightlifter, competing in two Olympic Games. 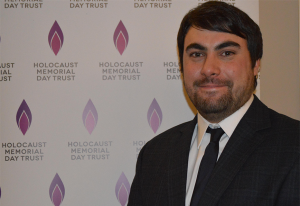 Ben has worked tirelessly in the field of Holocaust commemoration, and HMDT is proud that he represents us as our Honorary President. 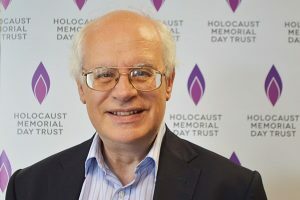 Lord Eric Pickles became Holocaust Memorial Day Trust's Honorary Vice President in January 2018. Lord Pickles was appointed Special Envoy for Post-Holocaust issues in September 2015, replacing Sir Andrew Burns. Lord Pickles works closely with the wide range of Holocaust academics, survivors and educational and social organisations in the UK. 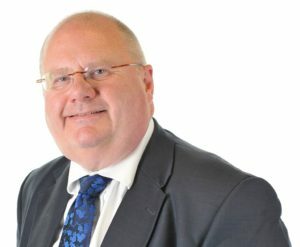 Lord Pickles was Conservative MP for Brentwood and Ongar from 1992 until he stood down at the general election in June 2017. He was formerly Secretary of State for Communities and Local Government. 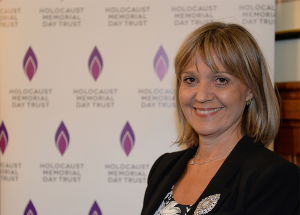 Laura Marks OBE became a deputy of the Board of Deputies of British Jews in January 2012 and in May 2013 was elected as Senior Vice President. 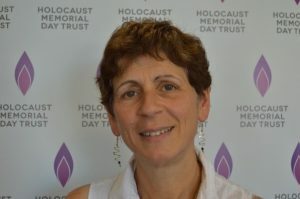 Previously, she founded Mitzvah Day, which enables people of different faiths to come together to engage with local charities, and which celebrates the Jewish values of tzedek (justice), gmilut chasadim (acts of kindness) and tikun olam (environmental awareness), operating now in 20 countries. Laura chaired a Jewish Leadership Council commission in 2012 to consider how to bring more talented Jewish women into leadership, and is a now co-chair of Women in Jewish Leadership. Laura is also co-founder of Nisa-Nashim, dedicated to bringing the Jewish and Muslim communities in Britain closer together by setting up groups of women nationally to build personal friendships, grow as leaders and benefit wider society. Following a career of nearly 40 years in the Civil Service – the last five as Permanent Secretary at the Department for Work and Pensions from 2005 to 2010 – Leigh has over the last six years undertaken a variety of roles in the public, private and not for profit sectors. Currently Leigh is Chair of Trustees at Drinkaware, the alcohol education charity, and Vice-chair of Trustees at the homelessness charity, St Mungo’s. In addition, he is a non-executive Director of Ombudsman Services, the UK’s largest provider of alternative dispute resolution services, a member of the PricewaterhouseCoopers Advisory Board and a visiting fellow at Greenwich University Business School. Local to his home, Leigh is also a Governor of the Watford University Technical College, Deputy from Watford Synagogue to the Board of Deputies of British Jews and a lifelong supporter and season ticket holder at Watford FC. Amanda has twenty years’ experience as a finance professional. After qualifying as an accountant in practice she worked in a variety of finance roles for the Walt Disney Company, Cable and Wireless Plc and the Centrica Group. Most recently she was CFO of a start-up technology company in the energy sector. Alongside her career she has worked in a voluntary capacity for a primary school and for her local church. Amanda has a degree in Modern History from Keble College, Oxford. ‘I believe that understanding the past is critical to understanding the present and creating a better future. 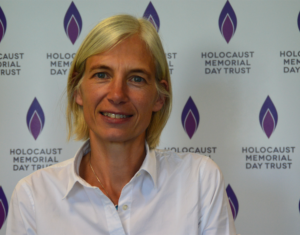 The Holocaust Memorial Day Trust’s work helps us all better understand the Holocaust and other genocides. With that understanding we can create a better future’. Ruth has over 20 years of experience as a leadership and organisational development consultant and coach, working in diverse businesses across the commercial and not for profit sectors. She is also a part time lecturer for the Management diploma at Birkbeck, London University. Ruth has a Masters in HR and is a fellow of the Chartered Institute of Personnel and Development. She has significant experience as an educator, having taught in schools, and throughout her career has encouraged people of all ages to fulfil their potential. Her more recent voluntary work includes Childline and Pet Therapy. Hannah Lewis was born in 1937 in Wlodawa, Poland. During the Nazi occupation, Hannah and her family were rounded up and taken to a camp in Adampol, where sadly she witnessed her mother being killed. Her father managed to escape and joined the Partisans, before finding Hannah and living in Lodz after the war. 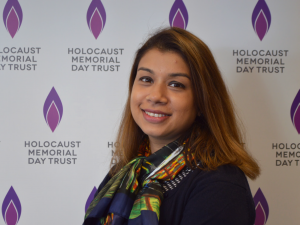 Hannah now lives in London and has been sharing her experiences in schools and universities for several years so that young people today can seek to understand the impact the Holocaust has on the contemporary world. Michael worked in business for many years and has been an active Trustee in the charity sector for decades. He is currently a Trustee of JW3 (a Jewish cultural and community centre), The Separated Child Foundation (a trust providing comfort and welfare to child refugees in the UK) and The Jonathan Levene Music Scholarship (a trust providing assistance to socially disadvantaged young and aspiring musicians). 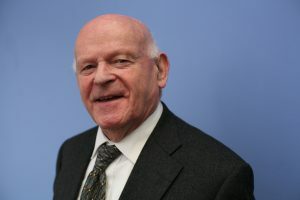 For many years, Michael was the Chairman of the London Jewish Cultural Centre (LJCC). As part of the LJCC’s Holocaust teaching and awareness programme, the organisation funded and produced the Holocaust Explained website to help learners understand the essential facts of the Holocaust, its causes and its consequences. 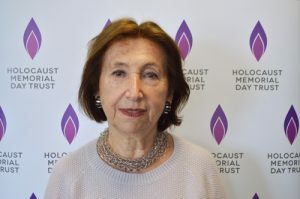 Michael’s late mother-in-law Mascha and many of her sisters and brothers were survivors of Auschwitz and other concentration and labour camps during the Holocaust, and provided testimony of their terrible experiences. Fiyaz has had over 15 years of continuous service in the charitable sector and has led organisations in this sector since 2004. He is currently the Director of Faith Matters and has set up and delivered the national TELL MAMA (Monitoring Anti-Muslim Attacks) project over the last two years. He has served as a councillor for six years and on various Government advisory boards. 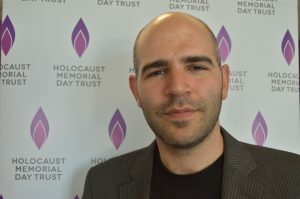 Joe is a historian of British based fascism, racism, antisemitism and Holocaust denial currently undertaking a PhD at Royal Holloway, University of London. Prior to this he was the National Campaign Organiser at the anti-fascist and anti-racist campaign organisation HOPE not hate where he worked on community campaigns countering the contemporary far-right. Anita is senior lecturer in Marketing Research and Business Ethics at London South Bank University. With 18 years’ experience in education, she is responsible for curriculum design, course management and delivery and in 2012 she was recognized by the Higher Education Academy and appointed a National Teaching Fellow. 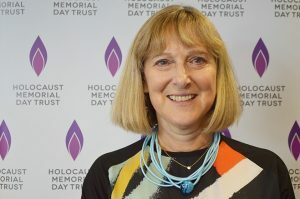 Anita has carried out significant research into the Holocaust and published a book about her mother, Naomi Blake, a survivor of the Holocaust. She has also been invited to speak about the Holocaust in universities and both Jewish and Christian religious institutions. She is part of the All Party Parliamentary Group (APPG) against Antisemitism, the APPG on refugees and the APPG on childcare. She lives in West Hampstead with her husband Chris and daughter Azalea. 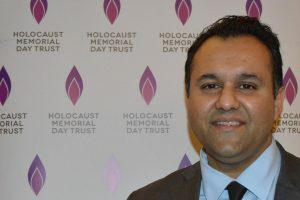 Naved is a social scientist and trainer, and is currently a Consultant Researcher at the Woolf Institute, where his special interests include faith issues in palliative care. Naved was a Research Fellow at the Policy Research Centre, with interests in policy concerns on civil issues and faith. He has trained extensively across the public and third sector on issues of identity, integration, social change and extremism. He served as a School Governor and teaches GCSE Islam in several Jewish schools. Naved Siddiqi is a Trustee of New Horizons in British Islam and served as a board member of the Islamic Society of Britain. He was tutored in theology and in Islamic social and political history by the late Professor Zaki Badawi, and is a reader in anthropology and comparative law, including the contextualisation of Sharia. He tweets @ThisisNaved. Danny Stone is the Director of the PCAA Foundation. His role is wide ranging and includes working closely with parliamentarians of all parties to secure action on Antisemitism. Before taking up his role Danny was a senior lobbyist at the Royal Society for the Protection of Birds and a Political Advisor to a member of the House of Lords. Danny has a Masters degree in politics and is an MCIPR with a diploma in Public Relations.